The RE Quality Mark continues to provide schools (all sectors and phases) to celebrate great RE. A team of assessors around England, Wales and Northern Ireland is in place to visit schools for the award. The final date for assessor training this year is June 26th in London. For further information, please contact Ffion at admin@reqm.org. There will be further training October 12th in Birmingham, this is expected to be the only assessor training in 2018-19. 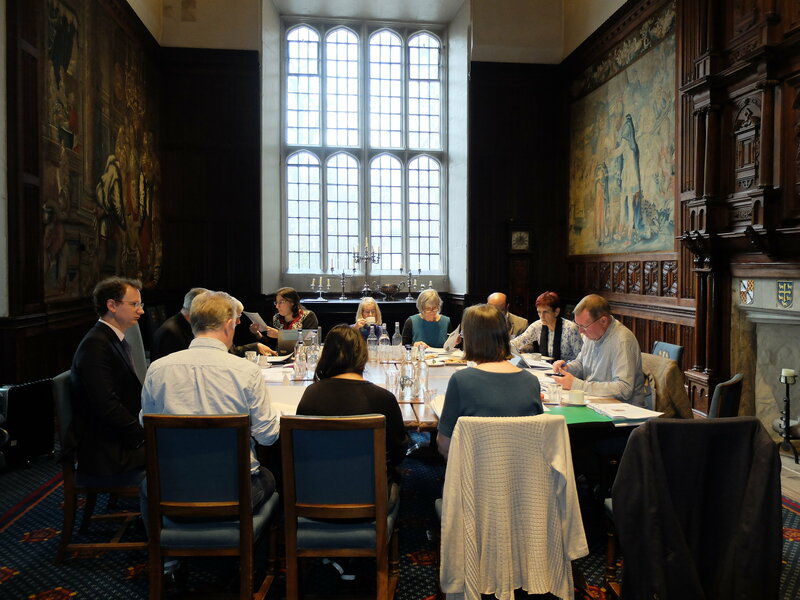 The Commission on Religious Education (CoRE) last met on 16 March at the Jerusalem Chamber, Westminster Abbey. This room has a significant place in the history of England and the United Kingdom. Henry IV died there, the Westminster meetings of the scholars who translated what became known as the King James Bible were held there, and in 1646 during the Commonwealth the Presbyterian Westminster Confession was compiled there. Commissioners discussed a national plan for RE including how classroom teachers could be supported in their work. Commissioners are working on the text of their final report in preparation for the next residential meeting in late June in Limehouse, east London. Published! 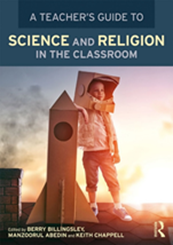 Our new publication – ‘A Teacher’s Guide to Science and Religion in the Classroom’ is now available from Amazon. For information on upcoming schools events and all our LASAR Project news please find our Spring Newsletter. Please email your questions toies@krishnatemple.com or alternatively click here. The Institute’s Chairman recently visited the President of India with various members of the Institute. The Hon. President was impressed with the Institute’s contribution to Religious Education in the form of the books it has published as well as the JAINpedia website, with its manuscripts, articles, glossary and education sub-site Learn Jainism. You can read more about the visit by clicking here. On 26th April, the Jain Temple in Kenton, Harrow hosted a visit by Rt Hon Jeremy Corbyn MP, who was delighted to learn more about the temple, the community and its practices as well as the various activities the temple conducts. A summary of the visit and photographs can be viewed here. 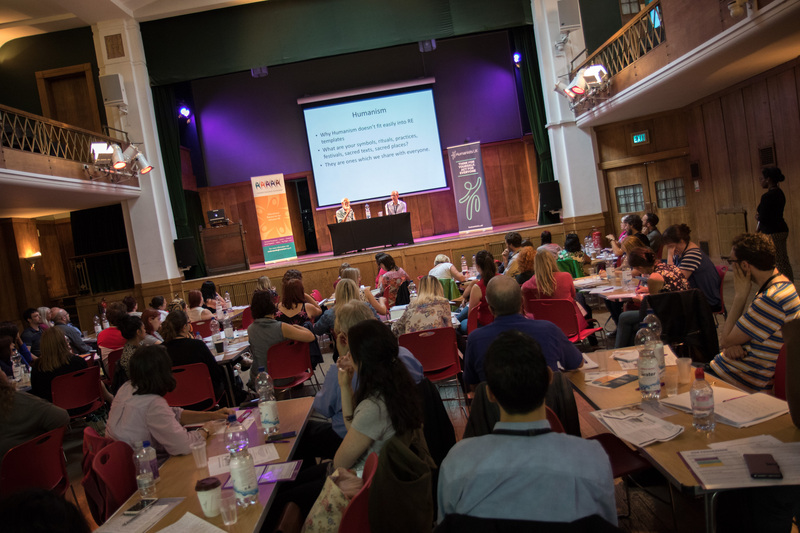 The conference cost will be around £150 excluding overnight accommodation. For information, visit the AULRE website. 15 May marks Conscientious Objector’s Day in commemoration of people motivated by faith and conscience to refuse to kill, a right secured in Britain in World War I. What choices were women and men confronted with at that time? What would you do in the same situation? 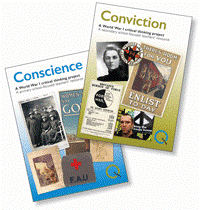 'Conscience' and 'Conviction' have been created to hig hlight a selection of moral paths taken as a result of the war. Both provide opportunities to reflect on the steps we need to take for a world without war. These materials are based on the work of Don Rowe, teacher, writer and co-founder of the Citizenship Foundation. 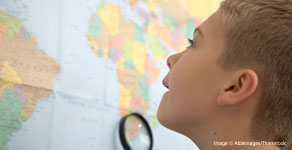 Learners pursue a critical thinking project, considering how people responded to the questions they faced and exploring their own reactions.